I've always tried to be conscious about what I eat (except for a phase in college...), but I became very serious about my diet when I got pregnant. Not only did I need to be strong and healthy to carry my child, but the foods I was putting into my body were nourishing her too, making it doubly important to eat right! So there are certain vitamins and minerals that are extra essential to a pregnant woman, and high on that list is Folic Acid. This B Vitamin is particularly important for pregnant women because it plays a critical role in the proper development of the baby's nervous system.†​ Some of the foods that contain good amounts of folic acid are leafy green vegetables, citrus fruits, beans and peas, broccoli, nuts, and pasta. 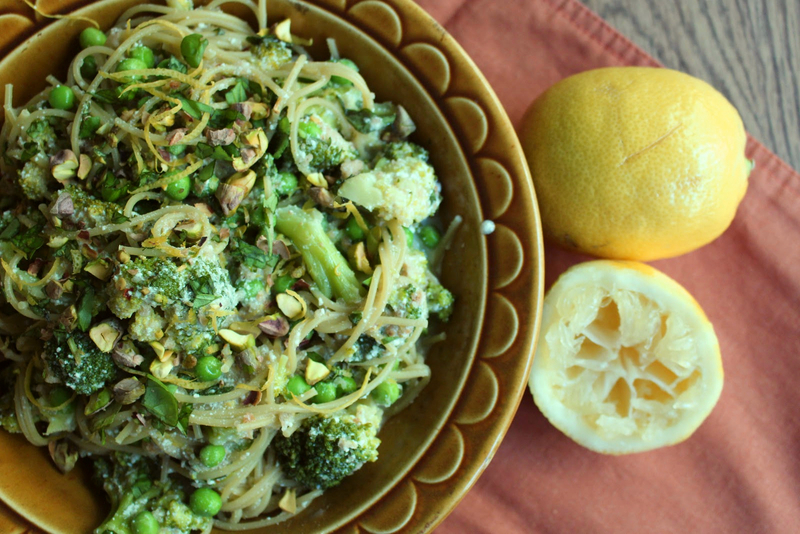 What better way to get your daily requirement of Folic Acid than by enjoying a delicious pasta dish bursting with lemon, peas, pistachios, and broccoli! This is such a refreshing and tasty summer supper. You get hit with the lemon first, and that's followed by nuttiness from the broccoli and buttery breadcrumbs plus a burst of sweetness from the peas and a crunch from the pistachios. It's an adventure in textures and flavors and I'll certainly be adding it to my rotation, especially since it's so nutritious and took less than 30 minutes to make! Sam's Club has been a life-saver for me since we started our family. Their prices on diapers, wipes, fruits, and even onesies can't be beaten! They sell a 5-month supply of Nature Made Prenatal® Multi + DHA (200mg) 150ct. softgels, which is ideal--two bottles, and I'm set for my entire pregnancy! 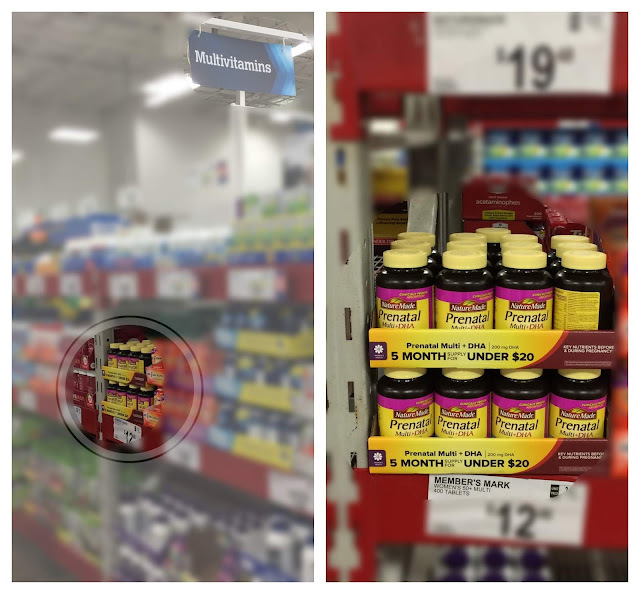 If you're thinking about adding to your family, head to Sam's Club and pick up some of these essential vitamins today! Learn more about Nature Made® Vitamins on their Facebook page, Instagram account, YouTube videos, and Twitter feed! Bring a large pot of salted water to a boil. Boil the pasta to al dente according to package directions. Reserve 1 cup of the pasta cooking water and then drain. While the pasta is cooking, do two things. First, heat the butter in a large skillet over medium heat. Add in the breadcrumbs and season with salt and pepper. Cook, stirring often, until the breadcrumbs are golden brown. Transfer to a plate and mix with lemon zest and basil; set aside. Second, place the broccoli in a microwave-save container with a few tablespoons of water, cover tightly, and cook 3-4 minutes, until tender. Toss the hot pasta and vegetables with the ricotta, Parmesan, lemon juice, and enough of the pasta water to create a sauce (1/4-1/2 cup). Add the breadcrumb mixture and toss to incorporate. Serve topped with pistachios, Parmesan, and basil. wow Eva is now a big gal :-) She is so sweet and adorable. The pasta looks healthy, filling and delicious, Grace. The pasta looks delicious - love all the ingredients. Aw a year old already! My twins are turning 2 in a couple of weeks. It goes so quickly sometimes, even as some days are soooooo long hahaha. Lovely pasta dish and best of luck with adding to your family. We had a long, difficult road to get our babies. OMYG she is adorable and so cute Grace, what lovely ! The pistachios are an inspired touch. They go with all that lovely green in this dish and add such a pop of texture. Kudos to you for taking extra care of yourself. I can't believe Eva is already a year old! And she's just such a little cutie :). 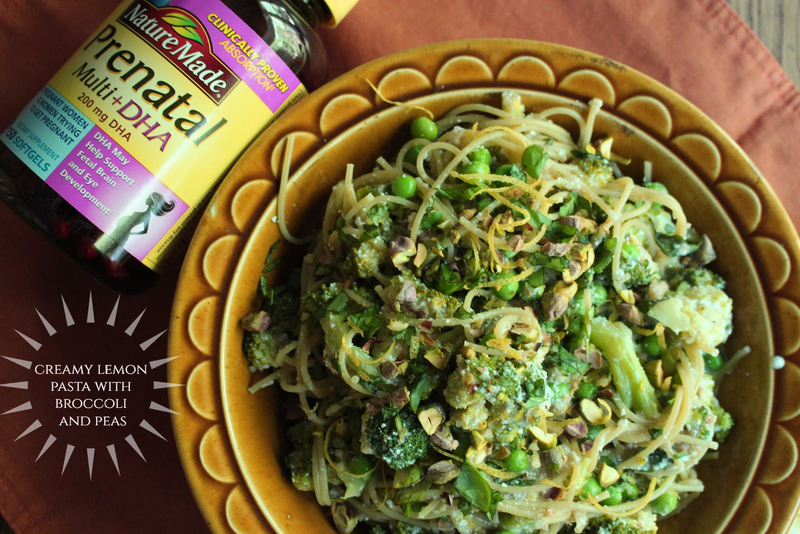 I loooove anything with broccoli OR pasta so this is right up my alley! Your daughter is so cute! Children grow up so fast! The meal is perfect for the season! A year old already? Goodness. This looks tasty, I like the idea of the toasted pistachios. Yum!